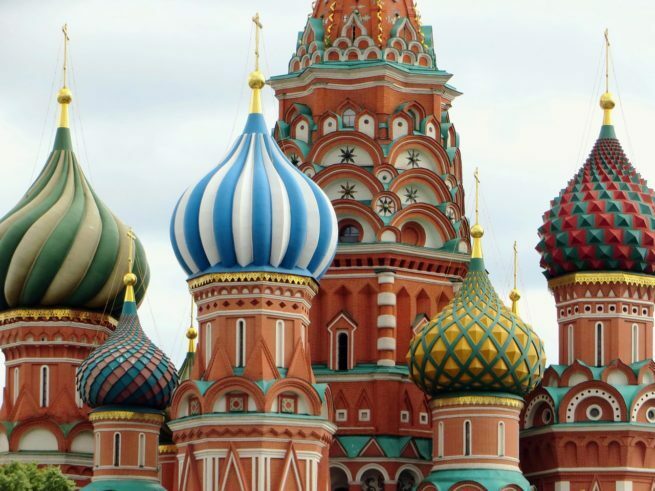 Charter a private jet to Moscow, the cosmopolitan capital of Russia and home to the Kremlin and Red Square. Moscow is the world’s number one private flight destination, and the route from Moscow to Nice is the most popular private jet route in the world. Hiring a private jet into any of the three major airports in Moscow is the most luxurious way to travel, whether you’re flying private for business or leisure, and our private jet charter company is available 24/7 to offer you the highest standards in the aviation industry. Air Charter Advisors offers on-demand private jet charter service to/from Moscow, and with access to thousands of private aircraft around the world, we’re confident we can arrange the right aircraft for your trip, whether you’re flying internationally or domestically. Wyvern-certified, our aviation team also maintains the most stringent safety standards in the industry. Every plane we use is operated by FAR Part 135 (or foreign equivalent) air carriers, and our transparent booking service will ensure you get exactly what you expect on flight day. We’re experienced in working with a wide range of clientele, providing exceptional service to heads of state, celebrities, and top business executives. If you’re planning on flying private to the area, our Jet Charter Moscow brokers can arrange the perfect flight itinerary to suit your needs. Give us a call or request a quote for your charter flight to Moscow, Russia. We’re here to assist you with all of your private aviation needs, from booking your private jet and creating its flight itinerary to arranging gourmet in-flight catering, luxury ground transportation or meeting any other requests you may have – consider Moscow Jet Charter your one-stop shop for all things private aviation in Russia. It’s rumored that St. Petersburg is surpassing the capital in terms of authentic Russian culture, but no one would even think to make that argument regarding anything business related. 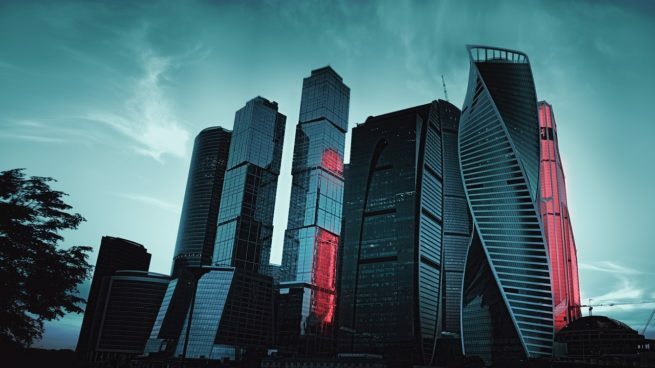 Moscow is not just the economic hub of the country, it’s also the political, industrial, and international hub. 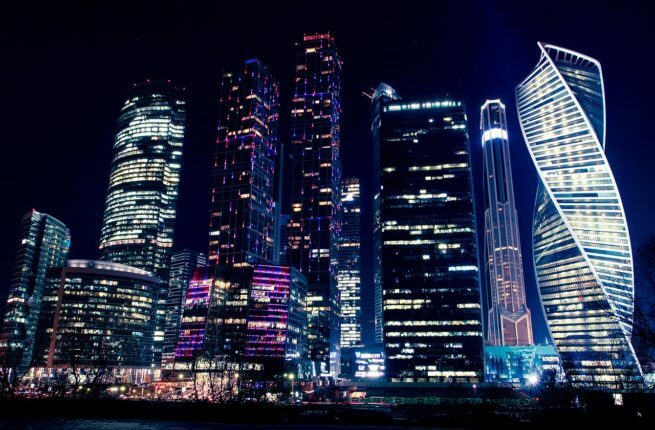 Moscow is basically the Russian equivalent of Manhattan, Detroit, and Washington D.C. combined. It’s also the billionaire capital of the world. From machinery construction to fuel and energy, Moscow has its hands in a lot of pots from all over the world economy. That said, the Ruble has dropped in recent years, and the economy is undergoing a bit of adversity due to various sanctions and other factors. That’s not to say the private jet industry is affected much by the recent economic climate in the country, because the city itself still stands tall. Virtually all of the country’s major political institutions are based in the city, so private flights with foreign dignitaries and heads of state are very common. Whether you have a meeting with a politician or a businessman, the best way in and out of the city is via luxury private flight with ACA Moscow Jet Charter Service. Russia has a reputation drenched in hues of grey. The mystique of the closed-off Soviet Union remains, and shrouds the country in an imposing yet slightly romantic vale. Pull the iron curtains back and you will find not just a country, but a culture and a people and a lifestyle. It’s vibrant, surprising, and exciting, and it’s all concentrated in Moscow. Red Square explodes and contrasts with its sphered towers, while the Kremlin itself inspires and stands guard over the city. The city is bustling at all hours. Stores, clubs, bars, and even barber shops are open 24/7, and the locals take advantage. However, the city takes on a new face during the winter months; priorities shift, and getting from “A” to “B” becomes a venture in survival. Icy -17°F winds drive people in doors, and towards the bars. Temperature generally hovers at around 18°F during winter months, though it often gets much colder. Locals don their iconic fur hats, parka’s, and gloves, and the city slows down significantly. Locals spare no expense in their sacred warmth, often wearing 2 scarfs, 2 jackets, long johns, thick boots, and fur-lining on just about everything. If you find yourself booking a private flight to Russia in the winter, embrace the cold, and let it drive you into good company that can always be found during these months. Despite the stony connotations associated with the city, the heart of Moscow is in fact a romantic one. Love of country and love of beauty are unmistakable as you walk the inner-city streets. Astonishing colors and imposing structures fill your eyes to capacity, while gleaming gold and silver domes dot the skyline and keep you looking up. It’s gorgeous, and it’s inspiring, and it’s all absolutely worth the private flight there. As you look upwards at the domes, it’s sometime easy to forget about the architectural masterpieces meander throughout the city just beneath your feet. Time spent in a Moscow Metro Station feels more like time spent in a king’s palace, and each station exemplifies its own unique style. Most stations feature high arched ceilings and marble floors that radiate opulence, while stately chandeliers bathe the hallways in warm light. They’re perfect examples of Russian romanticism – beautiful art just underneath the surface of a sometimes hardened city. However, while the train stations are elegant and worth exploring, clients may do well to let Moscow Jet Charter arrange transportation for them; the trains themselves don’t necessarily follow the stations’ example. Heading back topside, visitors will find a treasure trove of monuments, architectural marvels, and general odes to beauty throughout the city. St. Basil’s Cathedral and its parade of colors, Uspensky Sobor and its golden cross-tipped domes; these Slavic gems paint the picture of the place that gave Dostoevsky and Tolstoy the inspiration needed to write their masterpieces of human nature, and they’re still there ensuring each visitor is inspired similarly. Speaking of Dostoevsky and Tolstoy, it should be well noted that Moscow remains one of the world’s greatest cities for experiencing the arts. 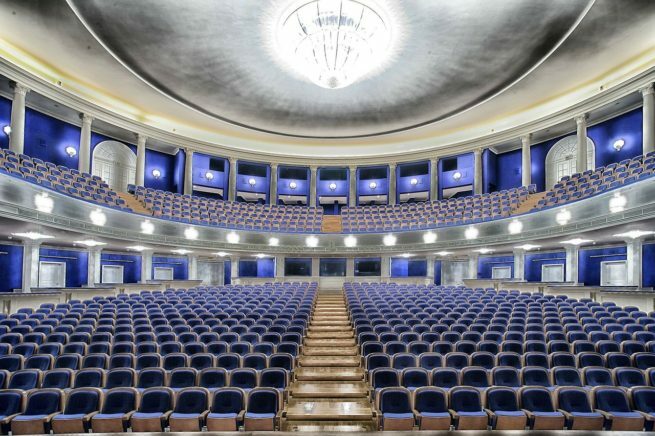 Ballet, opera, theater, orchestra: these arts thrive in the Russian capital, where the notions of hard work and dedication help them to reach new heights. The phrase “world’s greatest” is habitually thrown around by small town bars and breakfast joints. It’s gotten so out of hand, most people don’t even know what makes a good pancake good anymore, but it’s not too late to learn what truly great really is. Spend an evening at the Bolshoi Theater if you want to reacquaint yourself with the phrase’s true meaning. Situated in one of the city’s most iconic buildings, The Bolshoi Theater is commonly accepted as one of the world’s best venues for high art. Keeping with their standards of excellence, each in house troupe is considered to be at the same standard as the venue. With all of this culture and history packed into one city, it’s easy to imagine there are a ton of museums to marvel at. Visit the Tolstoy Estate if you’re a fan of literature, or celebrate your inner art critic with a visit to the Pushkin Museum, the largest venue for European art in the city. Or while you’re in Red Square, stop by the State Historical Museum to learn about the context in which the beauty around you was created. Whether you’re shooting for a winter trip or something a bit less freezing, you’ll find any adverse weather effects will wash away in the warm glow of Moscow’s decadent hotels. 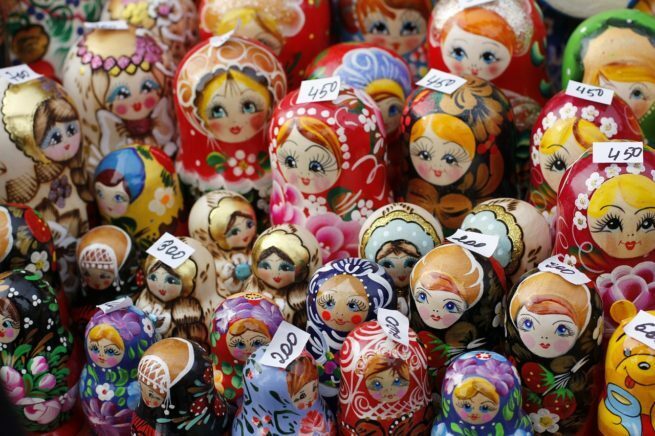 There are currently 84 billionaires living in the Russian capital. With this level of wealth concentrated in less than a thousand square miles, it’s easy to imagine the city is providing a level of luxury that can’t be found elsewhere. This assumption is proven true by the laundry list of Five-Star hotels that accommodate the city’s multitude of wealthy visitors every day. Generally, the hotels in Moscow are set within art-nouveau mansions. They boast historic settings, many having existed since the 19th century, and contemporary amenities. If you’re still hunting for the perfect hotel, we’ve got a few suggestions you might like. 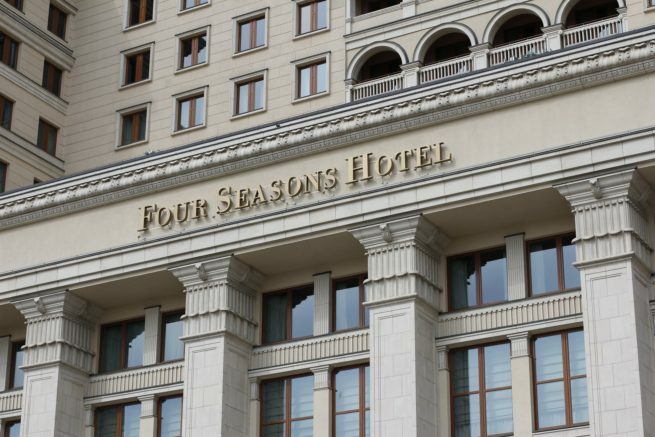 Based on jet charter client feedback and online reviews, Moscow Jet Charter has put together a list of the best hotels in town, and its a great place to start your search. Read on to check out our list of the best places to stay after a private jet charter flight to Moscow, Russia. Air Charter Advisors utilizes the following airports to fly clients privately to/from Moscow, Russia and neighboring areas of Europe and Asia. Fly private to Russia in a turbo prop, light jet, mid-size jet, heavy jet or a long range jet. Vnukovo International Airport (IATA: VKO, ICAO: UUWW) features two runways for international air traffic, and its higher elevation compared to nearby airports gives it an operational advantage in cold weather and poor visibility. It’s Russia’s busiest airport for private and general aviation. (VKO) Vnukovo was constructed during the Second World War to bolster Moscow’s capacity for air traffic, although it didn’t service commercial flights until 1956. The airport opened its second passenger terminal in 2004 to service international flights only. Book your private jet charter flight to (UUWW) Vnukovo International Airport today. Russia’s busiest commercial airport, Sheremetyevo International Airport (IATA: SVO, ICAO: UUEE) added a second runway after winning its bid to host the 1980 Olympics Games. (SVO) Sheremetyevo expanded again in 2008 to include a business jet hangar and in 2012, Terminal A opened with a focus on private and business aviation. Hire a private jet and fly to Moscow’s (UUEE, SVO) Sheremetyevo International Airport – request your quote now. Domodedovo International Airport (IATA: DME, ICAO: UUDD) offers 5 business lounges and a modern hotel complex for our executive and business jet charter clients. (DME) Domodedovo was voted as one of the best airports in Eastern Europe 2009-2012 by the Skytrax Independent Survey. The airport originally opened in 1965, and its second runway was quickly added three years later. However, it wasn’t until 1992 that Domodedovo began serving international flights. Today, it is the second busiest airport in Russia with two terminals serving domestic and international flights separately. Fly private to (UUDD, DME) Domodedovo International Airport with Air Charter Advisors. Myachkovo Airport (ICAO: UUBM) is the largest of 19 airfields in the Moscow Oblast for for small planes, helicopters and private flights. If you’re flying domestically within Russia and would like to use a smaller aircraft, we can arrange your private flight to land at (UUBM) Myachkovo Airport, or we can use the airfield for helicopter charter throughout the region. Moscow is home to the busiest private aviation market in Russia, and ACA is your best source for private jet charter service to/from Moscow using any of the following Wyvern-certified aircraft. All of the private jets we arrange are operated by FAR Part 135 or 121 (or foreign equivalent) air carriers, and we only use experienced pilots, not recent flight school graduates. Request a Quote or give us a call at 1-888-987-5387 to speak with one of our Moscow Private Jet Charter agents for your next luxury vacation, business trip, or special event.